Pitbull Mom Mug. 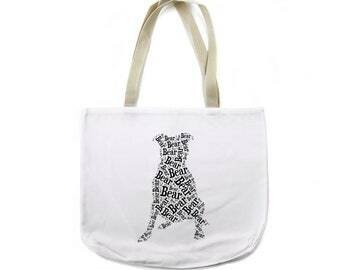 Pit Bull Mama dog lover gift for Mother's Day from husband, son, daughter, or best friend to celebrate new puppy. 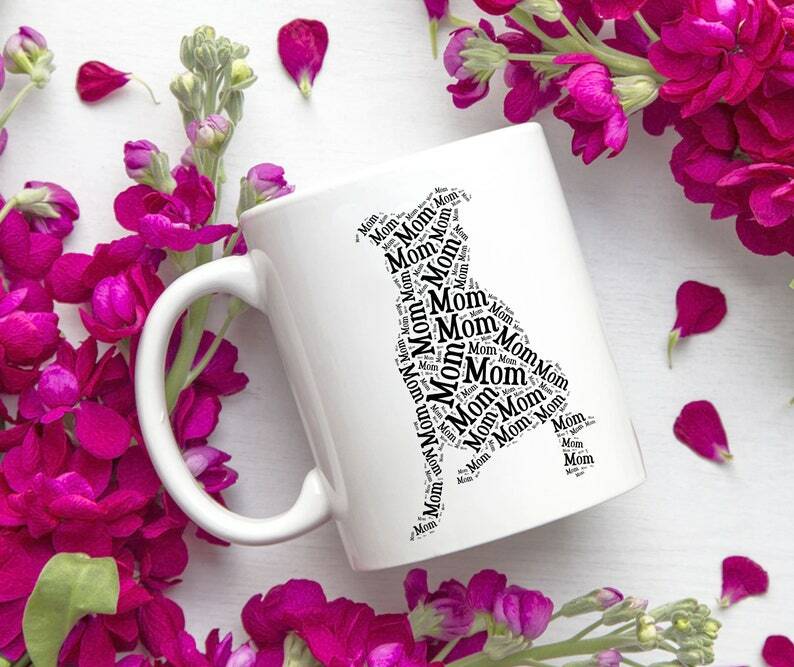 Celebrate that special Pitbull Mom with a fabulous custom coffee mug found only at Love At First Bark! 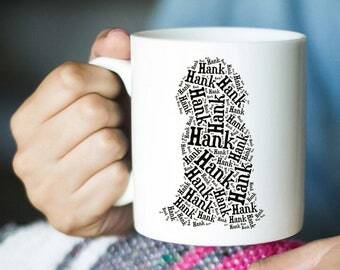 Taking the traditional Dog Mom mug to the next level, this mug uses the word "Mom" to create a unique Pitbull word art silhouette design! 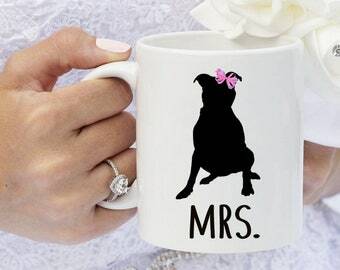 Perfect for Pitbull Moms of any age (think Mom, sister, aunt, grandmother, best friend) this mug also works for any woman currently fostering, adopting, or in the process of bringing home a new puppy. ❤ Your choice of 11 oz. or 15 oz white mugs. ❤ Dishwasher and microwave safe. ❤ FREE gift wrapping in cellophane bag and ribbon. ❤ Comes securely packaged to you via USPS Priority Mail. ❤ Unless otherwise noted, design will be created in classic black. If you would like another color, please convo us. ❤ If you would like a replacement for Mom (i.e. Mama, Ma, Mother, etc). we can make that change. Just convo us. Standard production time for prints is 1-3 business days. NOTE: this is not delivery time; this is how long it takes to create your print and get it out in the mail. Don't see what you're looking for? 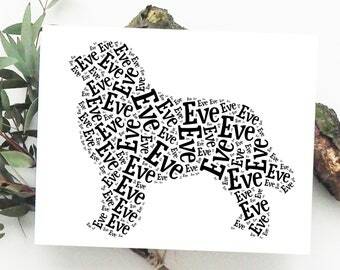 Click ➡ https://etsy.me/2JV0Wk1 and let us know what breed of dog, cat, horse, (or any animal) you'd like and we'll create it for you! Image © Love At First Bark. Please do not repost without proper credit ( + link to shop). Black Cat Mom Mug. Unique silhouette Cat Mama cat lover gift from husband, boyfriend, son, daughter, or best friend to special cat lady. Shipped so quickly. Looks just like picture! It could be more clear of a photo other than that good quality mug and great idea! Due to the custom nature of our products, we are not able to accept returns or exchanges and all sales are final. If there is a physical defect in a product, please contact us with a photo of the defect and we will replace it for you. If we made an error with your order, contact us and we will happily send out a replacement to you at no cost. For personalized orders, please check for grammatical errors as the exact wording you provide is copied and pasted to lessen errors. Please send any correspondence you may have through Etsy to make sure we receive your message. Each item is separately printed, sublimated, packaged and inspected for vibrancy and clarity. You will never receive a blurry or low quality product. Items are mailed to address provided at the time of purchase. We are not responsible for addresses that haven’t been updated in Etsy accounts or address change requests made after purchase is completed. If your item shows Delivered, but is not found, please check with neighbors and others in the household. If an apartment, check with the property management office. You can also call your local PO with the tracking number and/or check with your mail carrier. If package is still not found and mailbox is not secure (keyed lock), fill out the postal theft form at USPS.com. I am not responsible for items marked delivered, nor for lost or stolen packages since they are delivered by USPS and are therefore out of my hands and control. 1) Production Time: Please allow 1-3 business days for your order to be designed and created. Please note there are no guarantees your order will arrive within these time frames; they can vary depending on the USPS delivery system. No shipping refund will be issued for packages upgraded to Priority that arrive later than the 2-3 day time frame. TRACKING INCLUDED! Every order we ship includes a tracking number. Be sure to check your email from Etsy where you will receive this information. All items ship from IL using USPS. All designs are Love At First Bark originals. We don't copy other peoples' work. Instead, we spend lots of time seeking fresh inspiration that can be used to showcase the special relationship pet parents have with their fur babies. CAN I ADD A SPECIAL REQUEST WITH MY ORDER? Absolutely! Customers love the fact most items found at Love At First Bark can be customized. We have changed designs to include a dog's name, represent multiple-dog or pet households, used specific colors, flipped images so they face each other, altered images to make legs shorter, a body wider, etc. In terms of our coffee mugs, while we place images so the handle is on the left (as show in listing photos), we can also change the image so the handle is on the right. Simply add that in the "notes to seller" and we'll be happy to switch the placement. CAN I REQUEST AN ANIMAL YOU DON'T CURRENTLY OFFER? Certainly! We try to stock the most popular animals/breeds, but we don't have every. single. one. 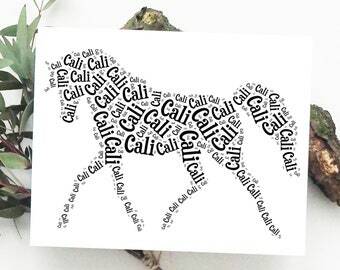 If you're looking for another breed of dog, cat, horse, etc. or a completely different animal altogether, contact us as we (a) may already have it ready to go so we can create a listing for you or (b) we'll work to see if it's something we can add to our collection. The more interest there is on a specific animal, the better idea we have that it's something we should permanently add to selection. When in doubt, convo us- we love hearing from you! ARE THE IMAGES ON YOUR SITE OF ACTUAL PHYSICAL PRODUCTS? Due to the custom and personalized nature of our products, the images you see on listing photos are mockups of what you can expect to receive. Most sellers of custom products will do this as we can only create a product once we receive an order for it. 99% of LAFB products are one-of-a-kind and made to order using the name, breed, coloring, and other unique aspects of your pets. We work hard to accurately convey all sizes and colors and only use mockups that most closely match the mugs, prints, totes, ornaments, etc that we use. Please be aware that computer monitors, however, can vary in how you see colors. Can I order my print WITH THE FRAME?